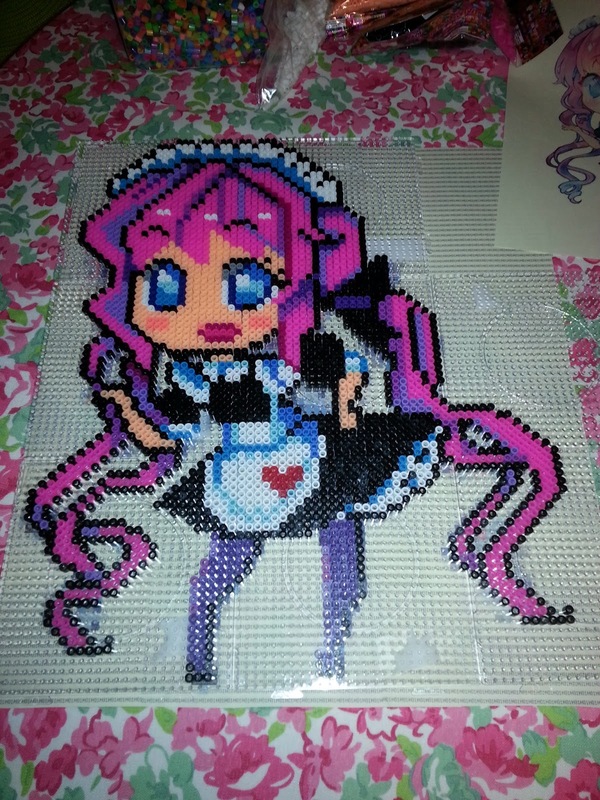 Just finished this large perler bead project, 8 pegboards! 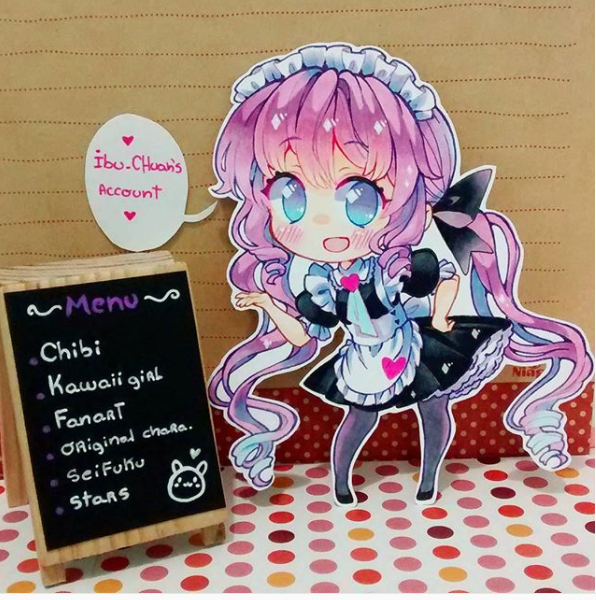 The original artwork is by ibu_chuan on instagram. She makes such cute characters. 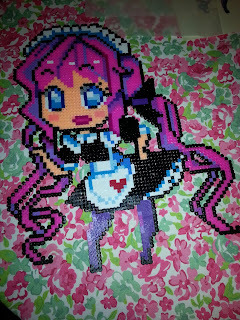 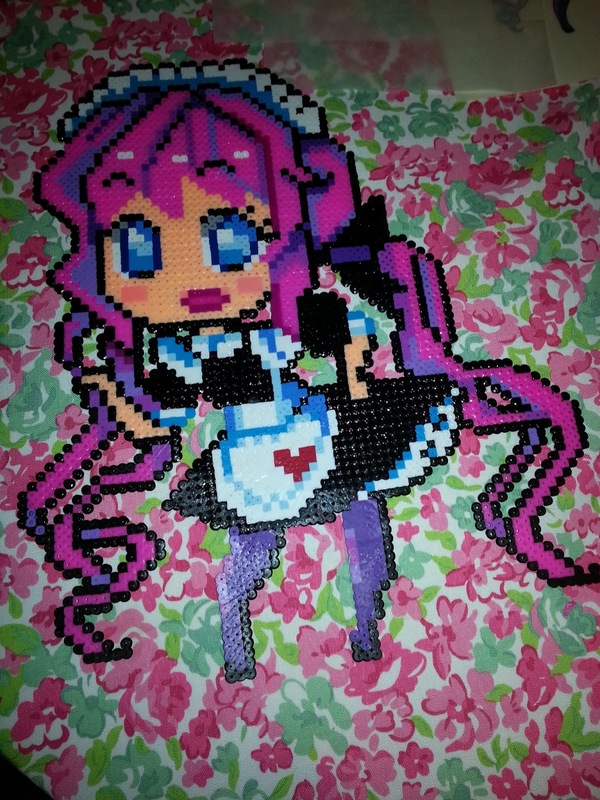 Here is my perler pixel version of her maid character.